UNC Asheville’s Ramsey Library Blowers Gallery will host an exhibition of the winning photos in the International Photo Contest, sponsored by the university’s Study Abroad Office, from April 1-16. A reception with the photographers will take place from noon-1 p.m. on Tuesday, April 9, in the gallery. The exhibition and reception are free and open to everyone. Photos were awarded in four different categories: cross-cultural, nature’s beauty, people, and reflections. 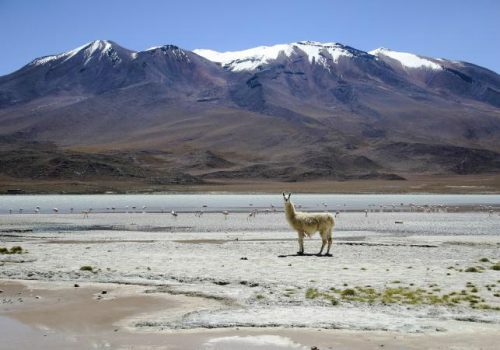 The Chancellor’s Purchase Award photo, Llama en los Andes, was taken in Peru by UNC Asheville senior Virginia Taylor. The Chancellor’s Purchase Award Runners Up are My Kindergarten Students in China, by senior Amy Brown, and Fire in the Amazon, taken in Ecuador by senior Brenna Tull. Blowers Gallery is open during regular library hours.